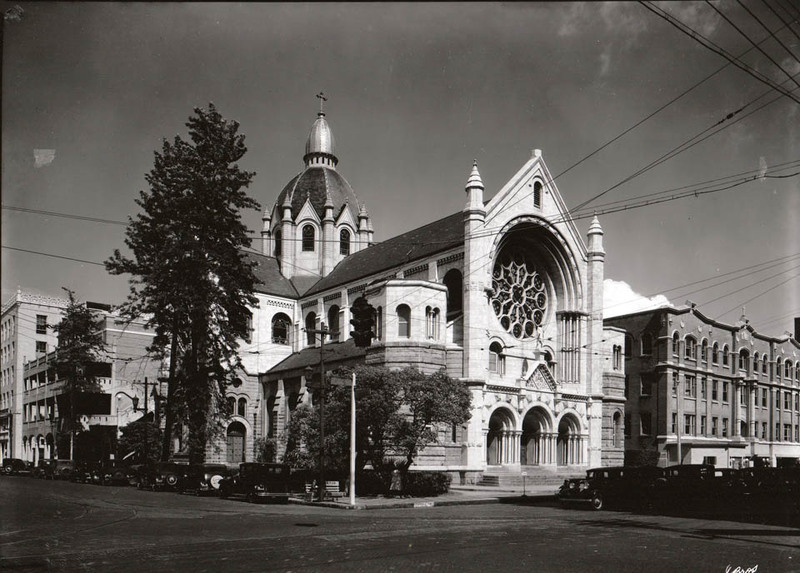 Groundbreaking for the Sacred Heart Church happened in 1898 and construction was completed in 1905. 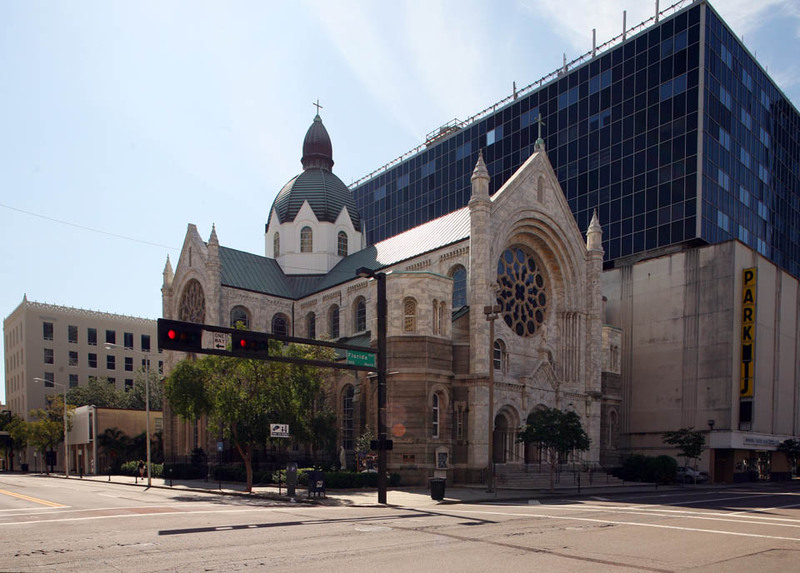 This makes this downtown Tampa landmark one of the oldest existing churches in Tampa and the oldest Catholic in the City. The church’s architect, Nicholas Clayton, designed a lot of Catholic churches throughout the south as well as many of the secular buildings in Galveston, Texas. For Sacred Heart, he had its 70 stained glass windows custom made in Munich, Germany. Every time I see that HORRIBLE blue monster next to this church I just want to find the persons responsible for allowing it to be built and just take them and….I’d better stop. If there was ever a building that should have been razed in all the history of Tampa, it’s this blue monster. On a positive note, the building in the far left side of the photo is still standing after all these years.